Totally channeling my inner Hippie here with this post, but I just love the look of fringe bags lately. At first I thought I was re-inventing a hot trend from back in the 60’s (or was it 70’s? ), but then I found out that I am indeed NOT a trend-setter. Let it be known I will still keep my day job. I love this. I hate that – $480. 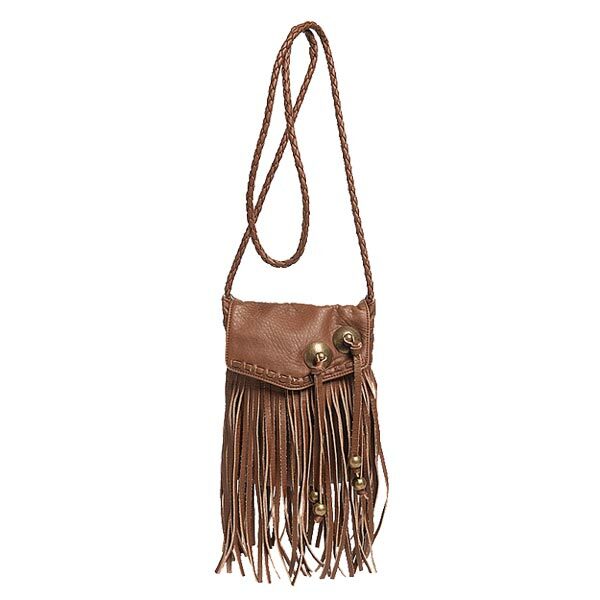 Not only am I getting the ease of the cross-body strap, I’m also getting the fringe I’m dying to have. oh lord!! Those bags are hidious but billabong has cool stuff!! :) Have fun hippie chick!! you don’t like? i love!